Anatomy Corner: What do the words lordosis and kyphosis mean? Our spine begins as a primary C curve in the womb (think sleeping on your side in a ball), but as we mature, we develop secondary curves in response to gravity That first C curve is called kyphotic, with the curves in the neck and low back called lordotic. If we were to make this a little clearer, a curve that moves in towards the body is called a lordotic curve, and a curve that moves away from the body is kyphotic. The result of these two kinds of curves is a wave like, "S like" curve in the spine. Now why all the fuss about these two words? Well, many of us have excessive tendencies, either excessive kyphosis or excessive lordosis. When we talk about the slumpy, rounded, poor posture tendencies, we're talking about excessive kyphosis. 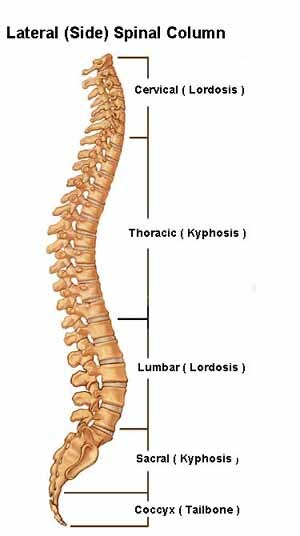 The thoracic (mid back/spinal vertebrae in line with the ribs) region is where our normal kyphotic curve is, and excessive kyphosis is an exaggeration of that position. Many of us musicians have this position when handling our instrument, either because of the music stand in front of us (or sharing with another), because our head juts forward, or our cell phones/cars/sitting habits put us in this position. Excessive lordosis, on the other hand, is less common, but still a possibility. If you look at the spine, the lordotic curve is in the lumbar region, meaning that excessive lordosis is an exaggerated lumbar curve. 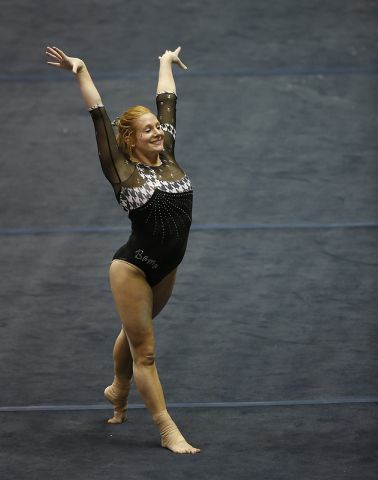 Now if that concept is obscure to you, think of gymnasts, dancers, ice skaters, etc., for whom this posture is normal, especially on completion of a competition or performance. Musicians are not as likely to have this position, but I have seen it from time to time. Last but not least is the combo package- lordosis-kyphotic posture. I have seen this a lot, and it deserves a full post unto itself, but as you can see, it combines both excessive lordosis and kyphosis together into one uncomfortable body position. People with this position tend to have their upper body behind their pelvis, but still have the slump rounded forward position. While posture is not everything, it is a good thing to start to recognize in yourself and in your students. Misalignment over a long period of time can lead to joint wear and tear, pain (sometimes), or just not playing, breathing, or feeling as well.